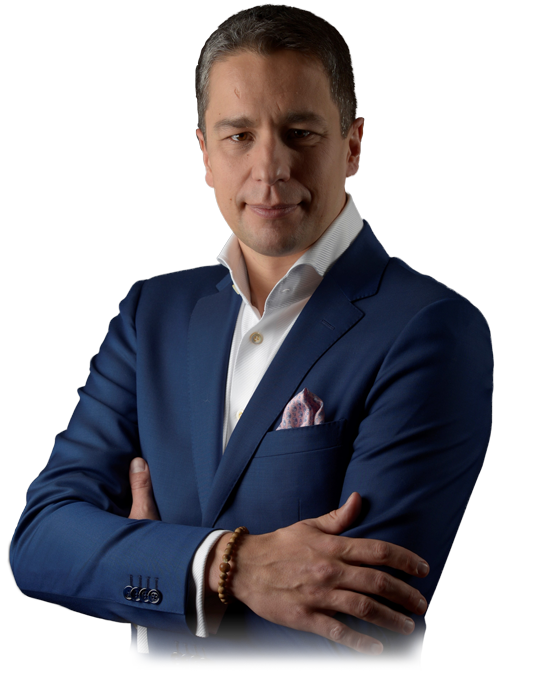 I am a manager, consultant, trainer and inspirational speaker working in Poland, as well as in international markets. I wrote a book on decision-making that was published in Polish in December 2014 and became Harvard Business Review’s bestseller in just three weeks. The book was released in English on April 16, 2019 and is available through Amazon and in the leading bookstores worldwide. I have also contributed my essay to “Work is Love Made Visible: A Collection of Essays About the Power of Finding Your Purpose From the World’s Greatest Thought Leaders”, published in 2018. In October 2016, I was selected from over 16,000 candidates for the first cohort of the elite global group of Marshall Goldsmith’s “100 Coaches” initiative, I have also been a certified executive coach with Marshall Goldsmith’s Stakeholder Centered Coaching since 2015. My professional career is a combination of management consulting experience in Europe (Hay Group) with general management roles (including seven+ years as the CEO of Harvard Business Review Polska and ICAN Institute). I have managed teams of up to 200 people, working in international, virtual and project-based environments. I have delivered more than 2,500 training hours at CXO level and spoken at numerous conferences in Europe, working with keynote speakers such as Marshall Goldsmith, recognized by Harvard Business School as the world’s no. 1 leadership guru, prof. Dave Ulrich (University of Michigan), prof. Joseph Badaracco (Harvard Business School), prof. Heike Bruch (St. Gallen) and prof. Andrew McAfee (MIT). Along with conferences, I speak at special business events of my clients and design and deliver dedicated workshops for them. Additionally, being a trainer in leading Executive MBA programs, as well as in ICAN Institute’s executive education projects (Strategic Leadership Academy™ and Management™), I have worked with more than 4,000 managers and entrepreneurs. I am an expert in leadership, decision-making, talent management as well as personal- and team effectiveness. In my workshops and speeches, I also cover topics such as technology revolution, competitive strategies and innovation. In 2005, I became the first Pole to complete the Train the Trainer program at the McClelland Center in Boston.